Apple Music is almost here. We've known for some time that Apple is planning a new music streaming service, but now it's (just about) official: Sony Music CEO Doug Morris told attendees at a conference in France that "it's happening tomorrow" according to VentureBeat. 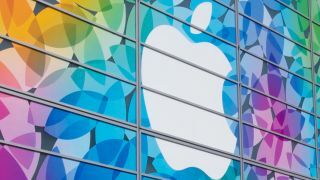 Tomorrow is of course WWDC day and the new Apple Music should make up a substantial part of Apple chief Tim Cook's keynote. We're expecting it to be built on the Beats Music service Apple picked up with Beats last year. Unfortunately Morris didn't go into much detail about what Apple Music will involve, so we're still waiting for confirmation on prices and formats and to see whether or not there'll be a free tier (probably not). Morris was happy to discuss Sony's reasons for joining up though. "What does Apple bring to this? Well, they've got $178 billion dollars in the bank. And they have 800 million credit cards in iTunes." "My guess is that Apple will promote this like crazy and I think that will have a halo effect on the streaming business," added Morris. "A rising tide will lift all boats. It's the beginning of an amazing moment for our industry." We will of course be bringing you all the news from WWDC 2015 as it happens tomorrow, 8 June. The main keynote kicks off at 10am on the west coast of the US, which is 6pm in the UK and 3am on Tuesday morning Australian Eastern Time.